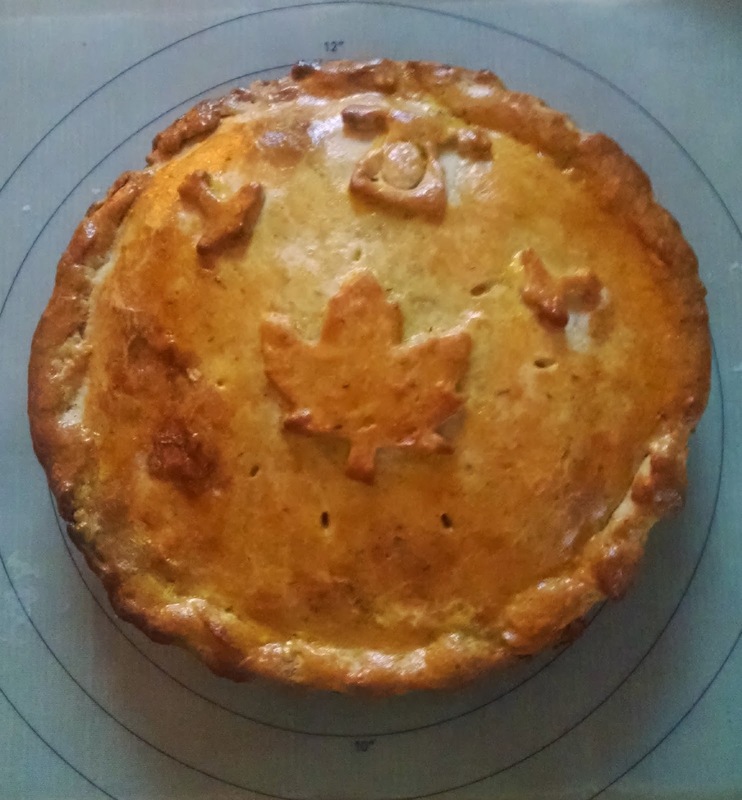 I made another tourtière using the rendered lard. Turned out OK. The lovely yellow tint is an egg wash.
For the culturally backward, the maple leaf, telephone, and airplanes are an obvious reference to Alexander Graham Bell.